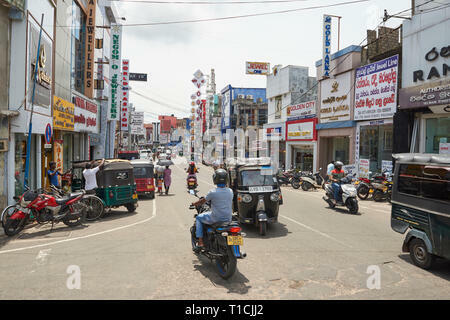 Busy commercial road in Negombo, Sri Lanka, on a sunny day, with heavy traffic of bicycles, cars, motorbikes and tuk-tuks. 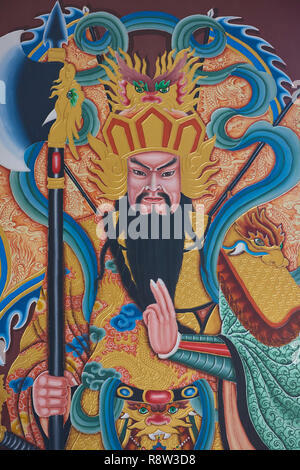 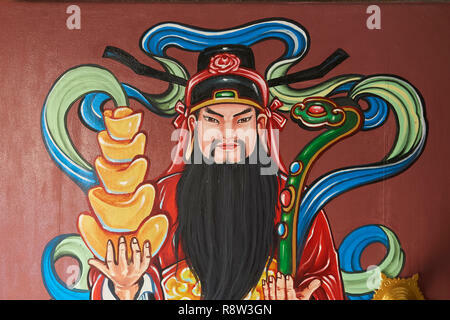 Detail of colourful door paintings inside Kuang Im Chapel, near River Kwai, Kanchanaburi, Thailand. 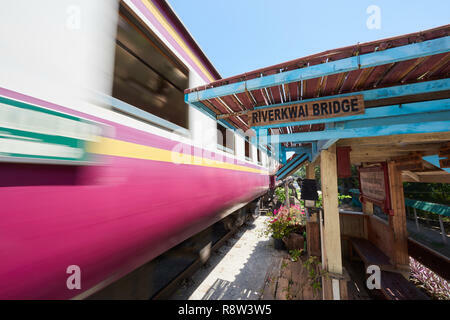 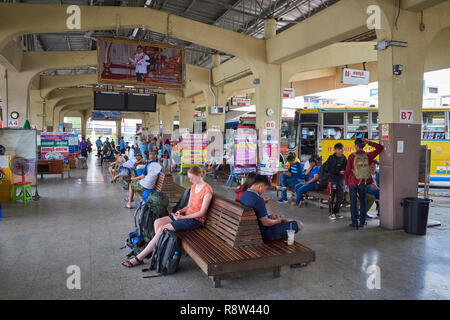 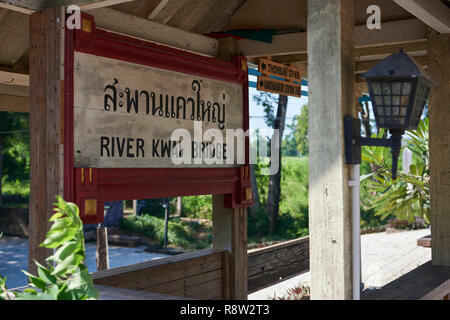 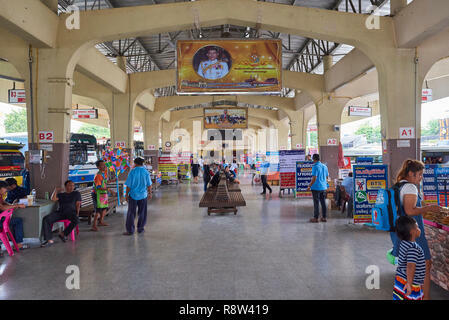 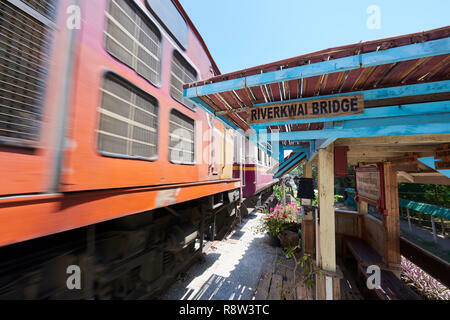 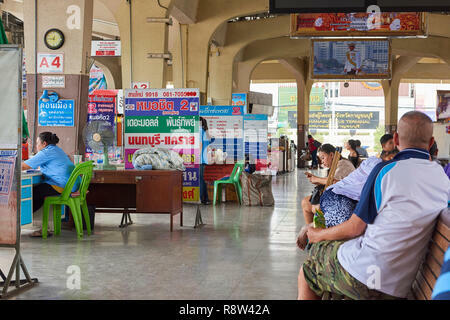 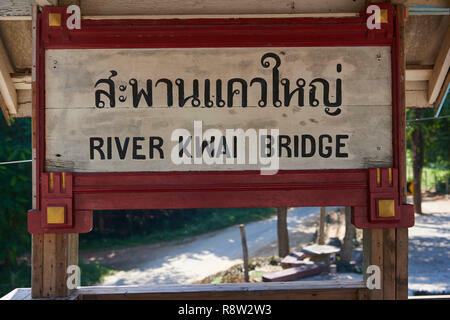 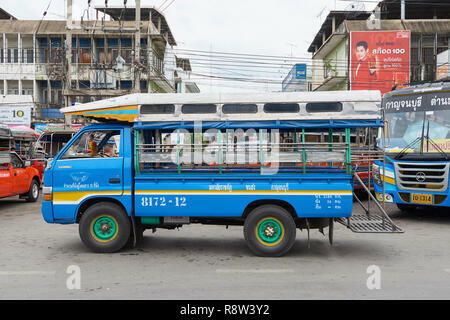 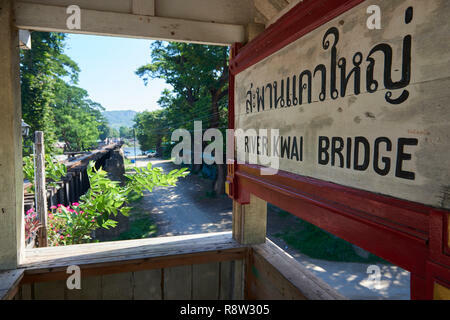 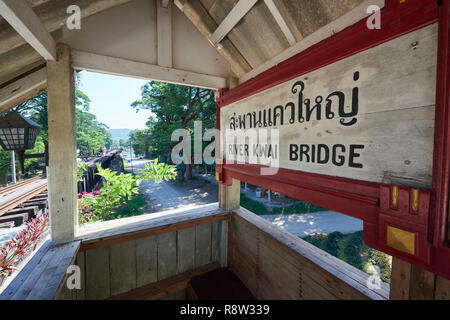 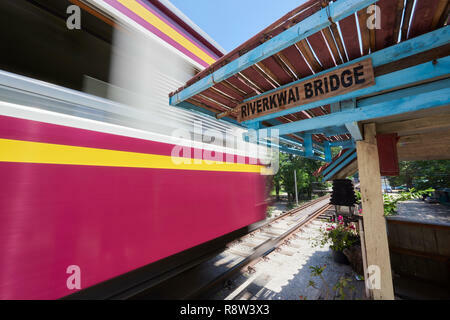 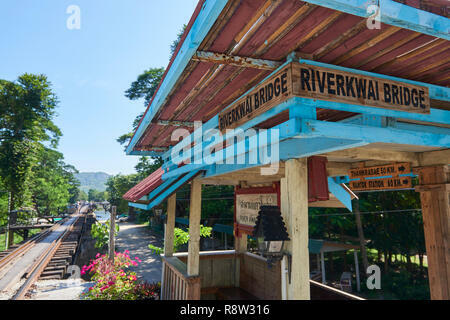 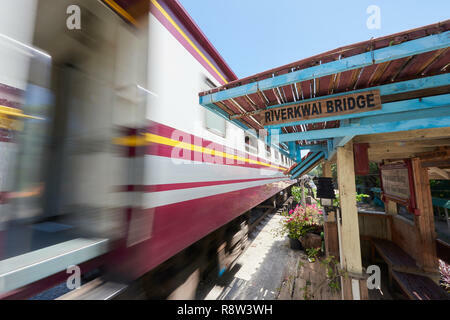 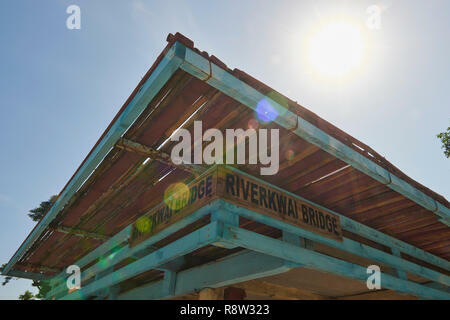 Passengers await in the departure area of Kanchanaburi central bus terminal, in Thailand. 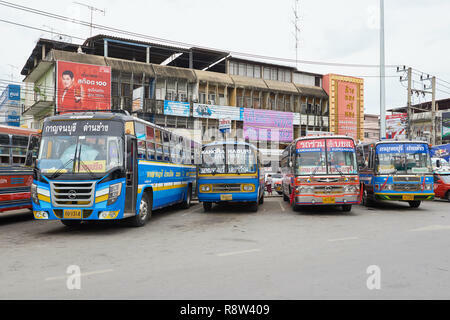 Interurban buses parked at Kanchanaburi central bus terminal, in Thailand. 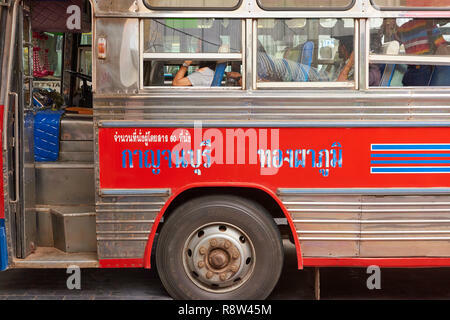 The buses are traditionally very colourful and heavily decorated inside. 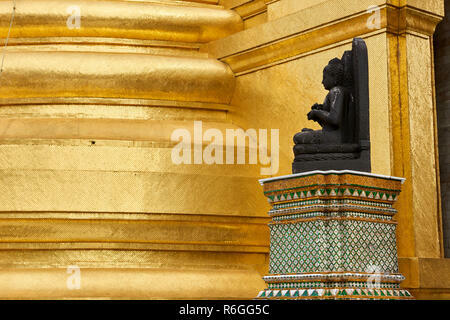 Detail of Gilt Buddha inside Kuang Im Chapel, near River Kwai, Kanchanaburi, Thailand. 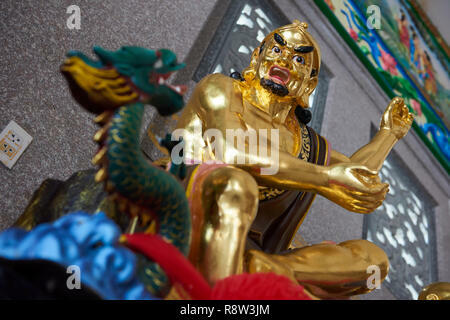 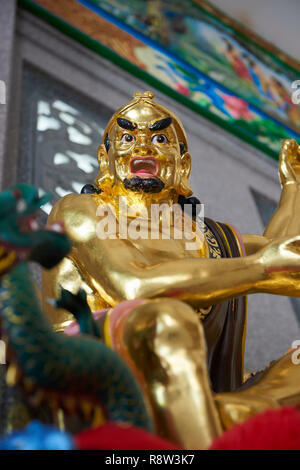 Detail of Gilt Lohan Arhat taming a dragon, inside Kuang Im Chapel, near River Kwai, Kanchanaburi, Thailand. 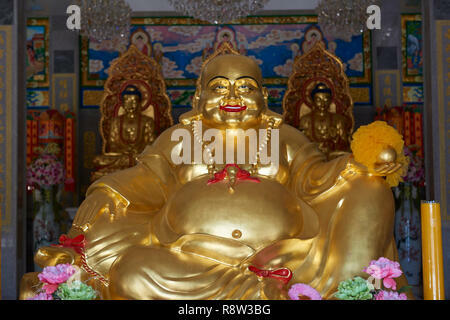 Detail of Gilt Smiling Fat Buddha inside Kuang Im Chapel, near River Kwai, Kanchanaburi, Thailand. 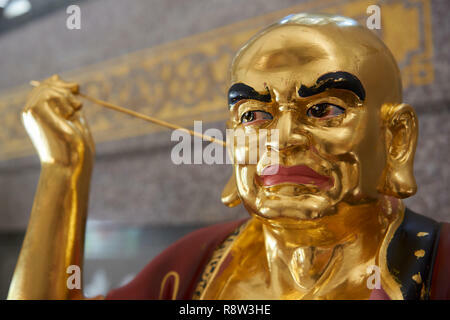 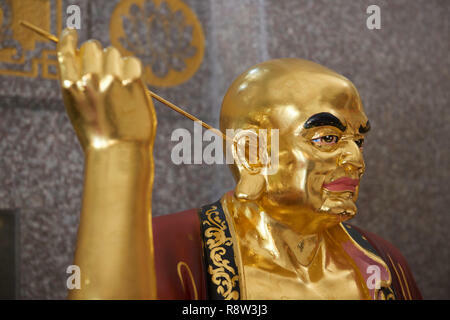 Detail of Gilt Lohan Arhat cleaning his ears with stick inside Kuang Im Chapel, near River Kwai, Kanchanaburi, Thailand. 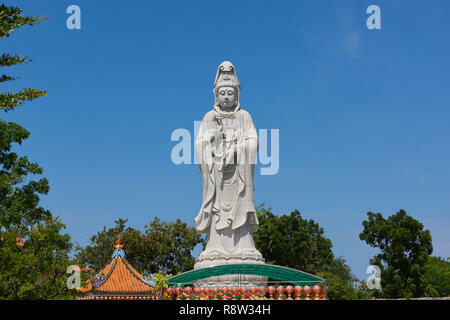 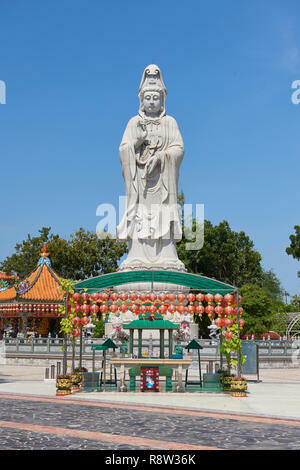 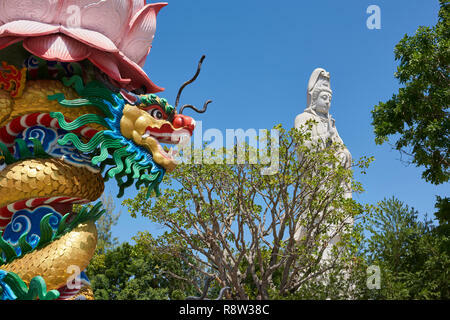 Very large statue of Buddhist goddess of mercy Guanyin, in Kuang Im Chapel, near River Kwai, in Kanchanaburi, Thailand. 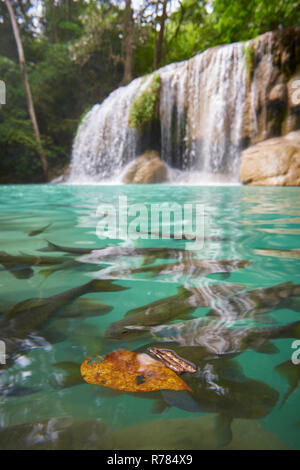 Wang Matcha, the second tier of Erawan Waterfall in Kanchanaburi Province, Thailand, with fish swiming in the clear water. 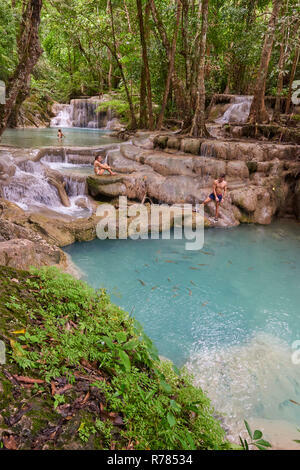 Visitors enjoying Buer Mai Long, the fifth tier of Erawan Waterfall in Kanchanaburi Province, Thailand, with fish swiming in the clear water. 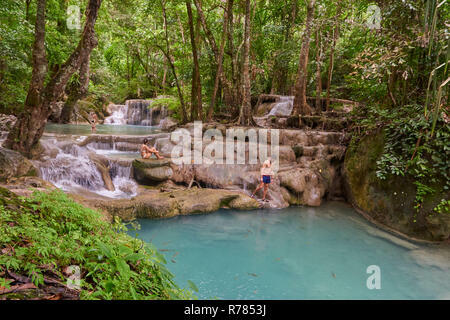 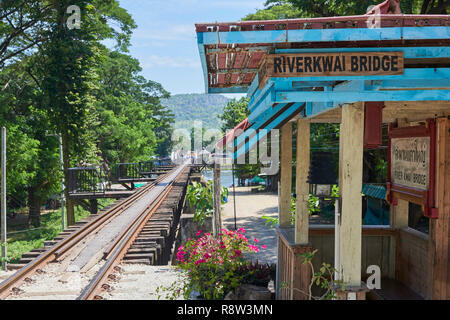 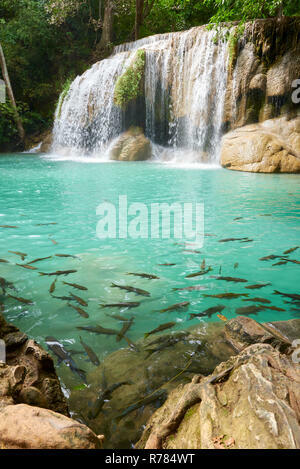 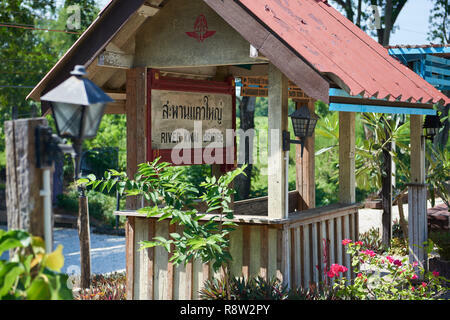 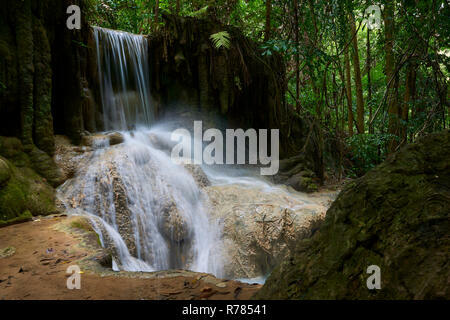 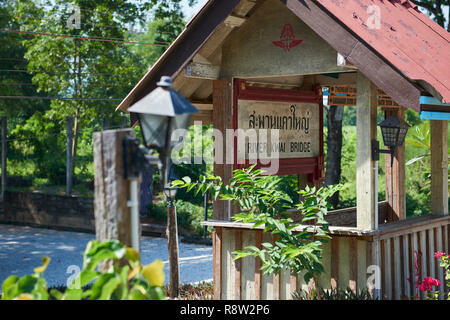 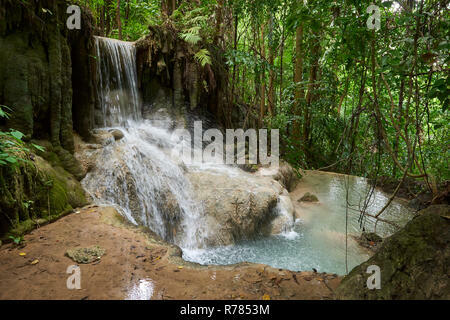 Small area of Erawan Waterfall in Kanchanaburi Province, Thailand. 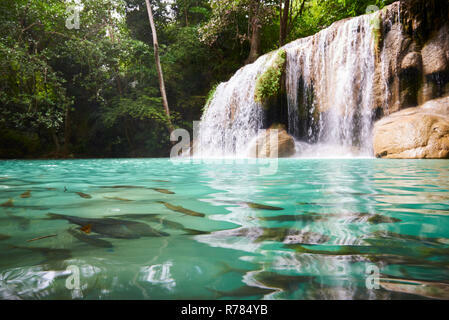 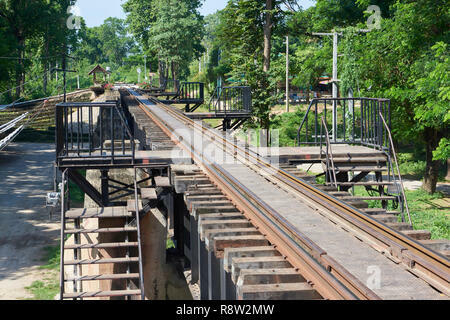 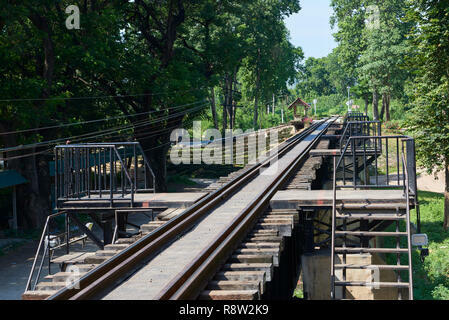 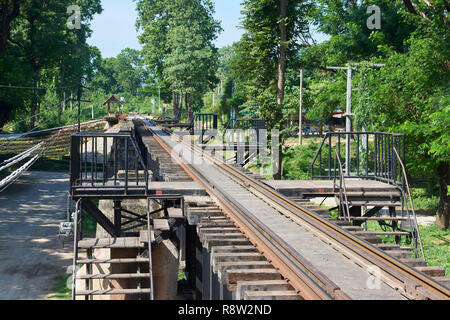 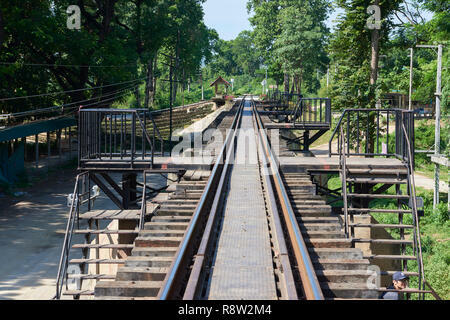 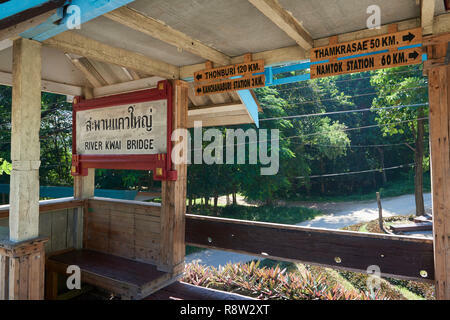 Erawan National Park is a main tourist attraction in Thailand. 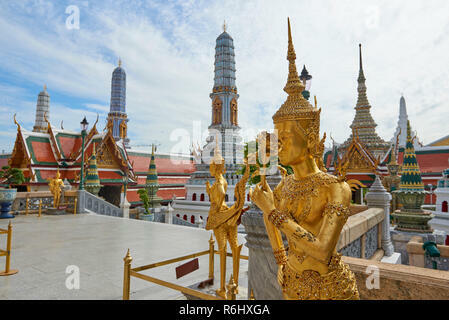 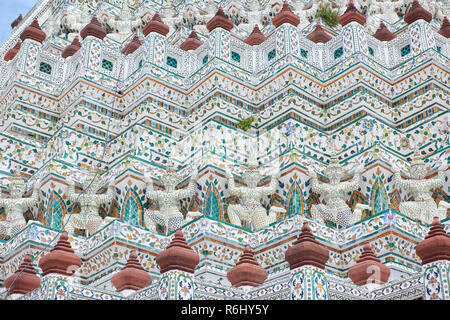 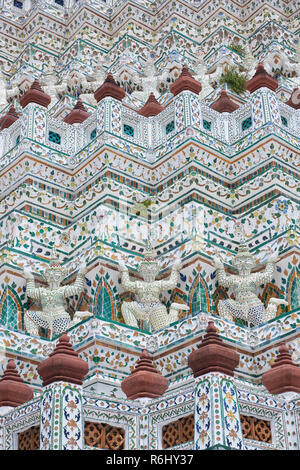 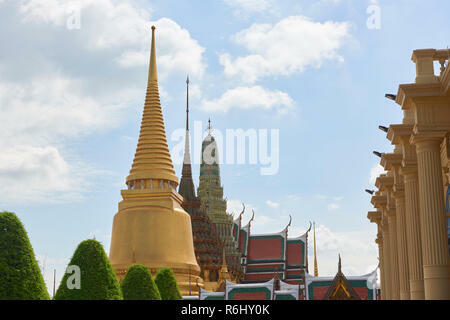 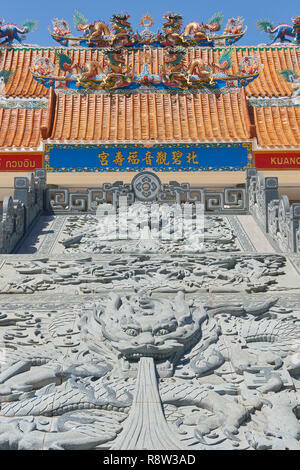 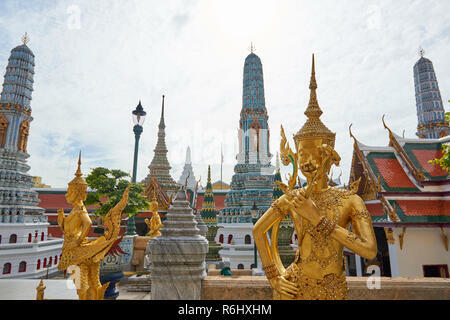 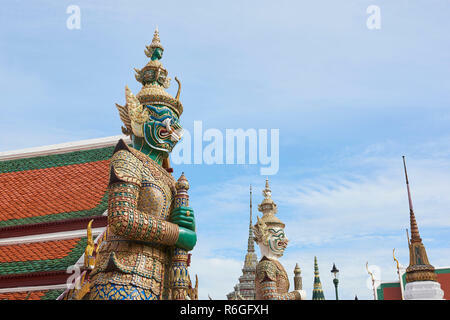 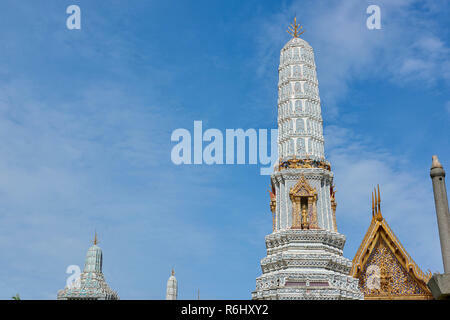 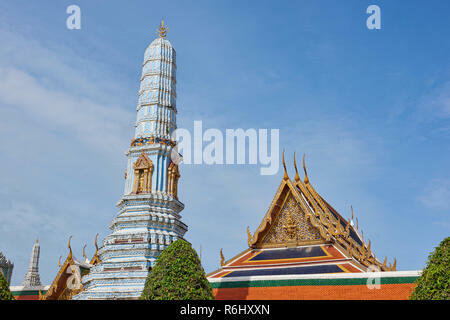 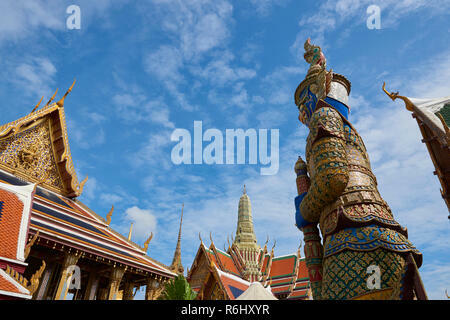 Three large pagodas inside the Grand Palace in Bangkok, Thailand. 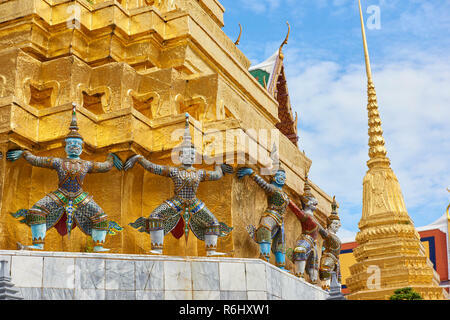 Golden dancer statues inside the Grand Palace in Bangkok, Thailand. 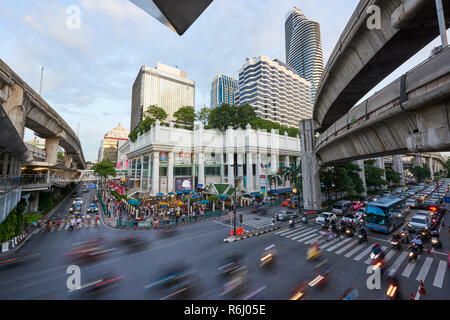 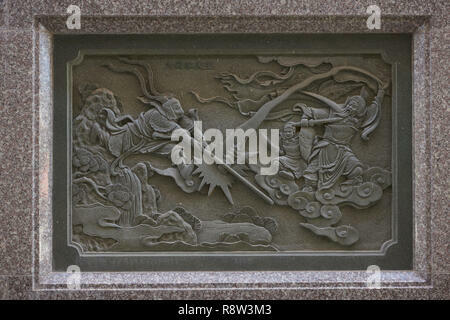 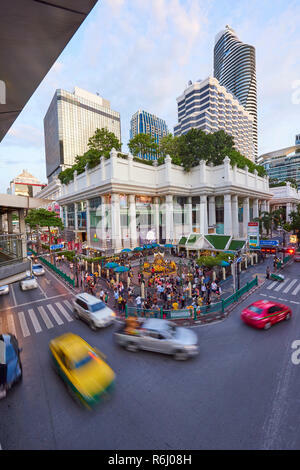 High angle shot of Ratchaprasong Intersection and Erawan Shrine in Bangkok, Thailand, with motion blurred cars driving past in busy traffic. 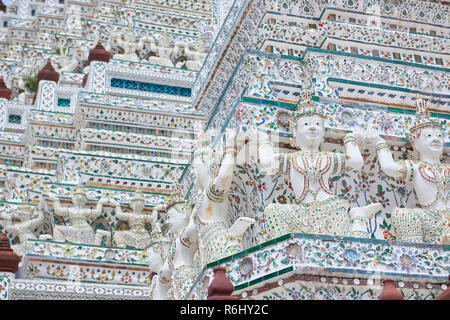 A towering white pagoda inside the Grand Palace in Bangkok, Thailand. 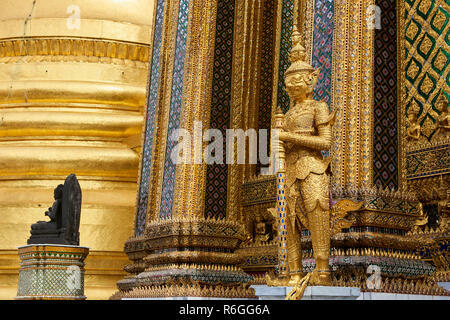 White guardian statue with golden Buddha statues in the background in the Ordination Hall in Bangkok, Thailand. 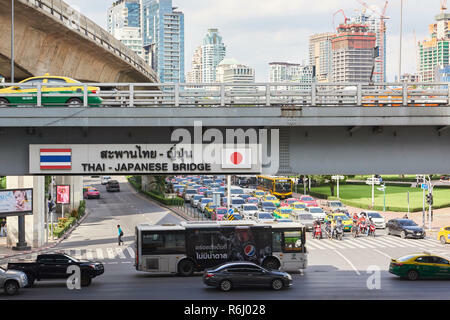 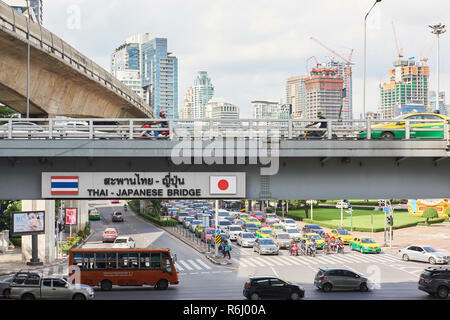 Thai-Japan Friendship Bridge with city skyline in the background and heavy traffic in the foreground in Bangkok, Thailand. 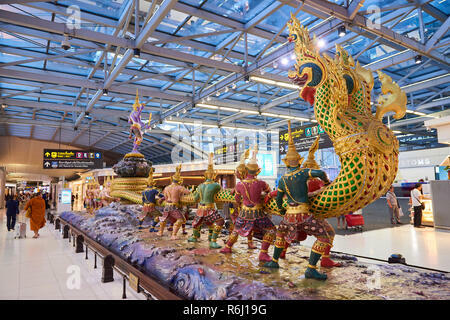 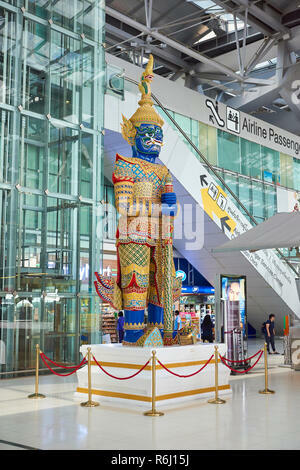 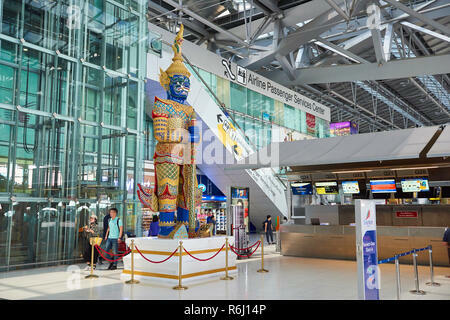 Large Yaksha statue in Suvarnabhumi Airport lobby in Bangkok, Thailand. 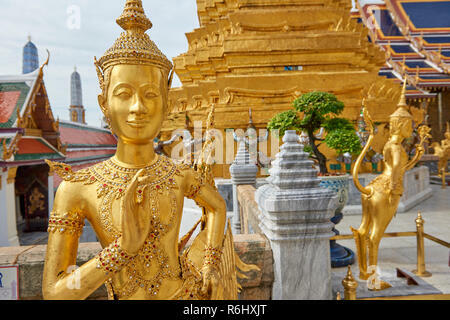 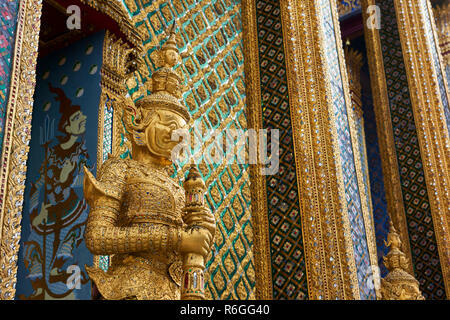 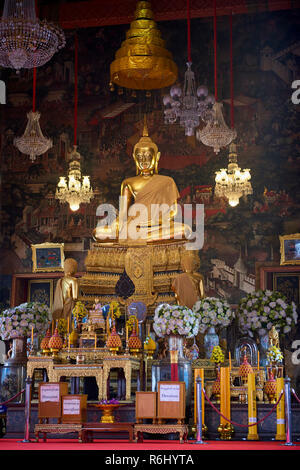 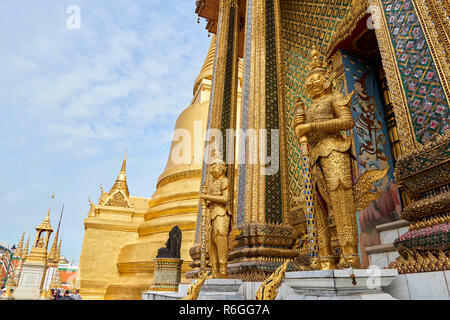 A small Buddha statue against a gilt column inside the Grand Palace in Bangkok, Thailand. 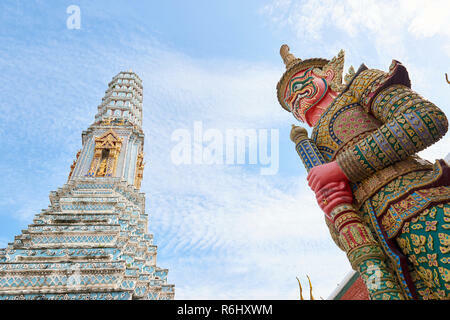 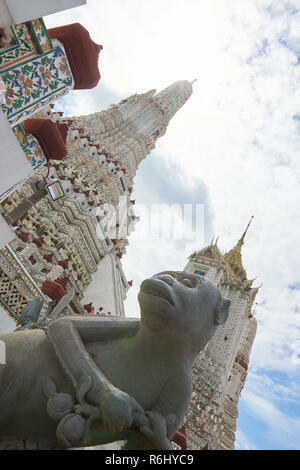 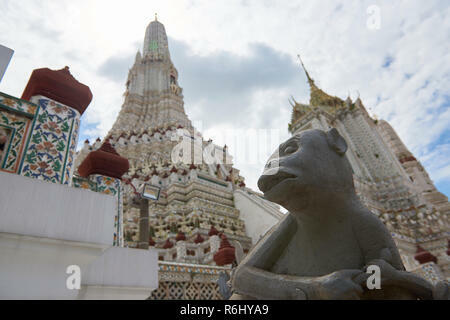 Monkey statue with large pagoda in the background in Wat Arun temple in Bangkok, Thailand. 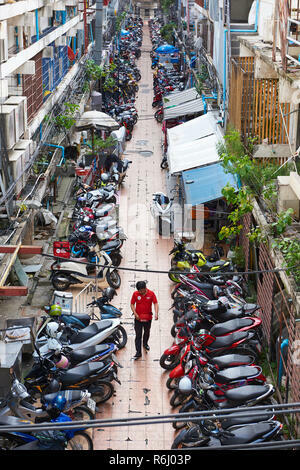 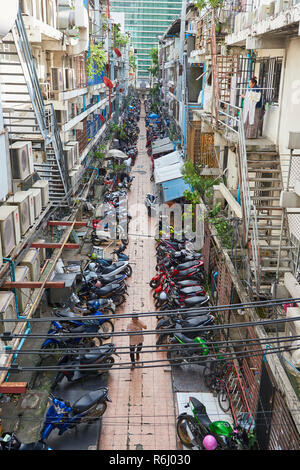 High angle shot of narrow street with several mopeds parked amongst residential buildings and pedestrian walking past. 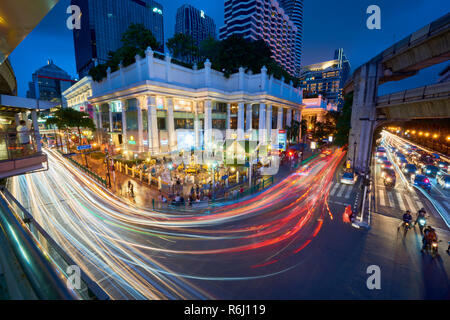 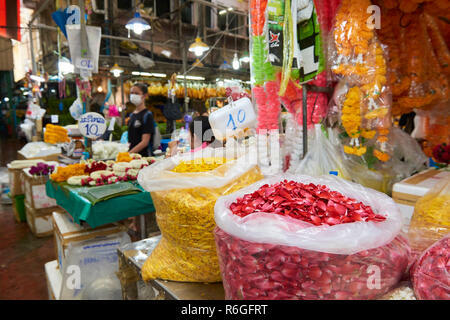 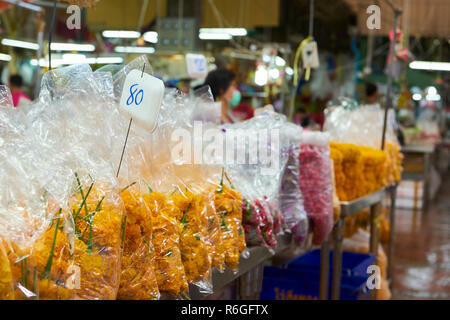 In Bangkok, Thailand. 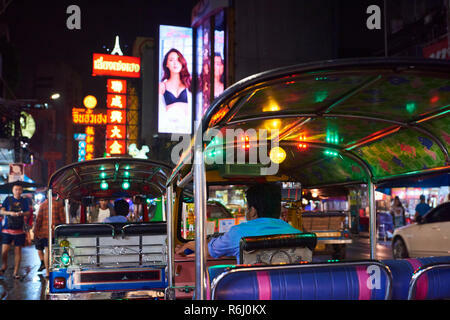 Night shot of traditional colourful tuk-tuk motorbike in Chinatown district in Bangkok, Thailand, with neon signs in the background. 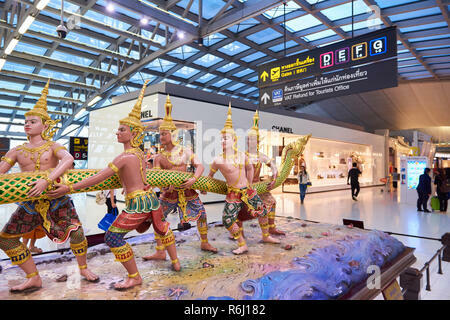 Statues representing the Hindu Churning of the Milk story in Suvarnabhumi Airport lobby in Bangkok, Thailand. 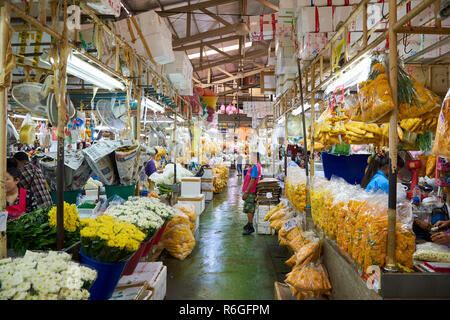 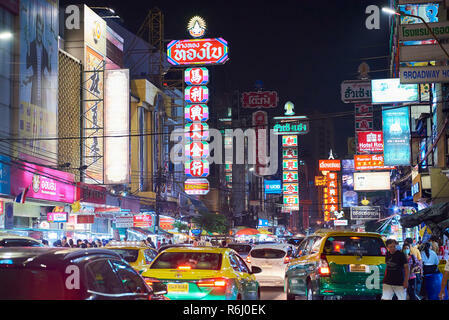 Night shot of Chinatown district in Bangkok, Thailand, with heavy traffic and neon signs. 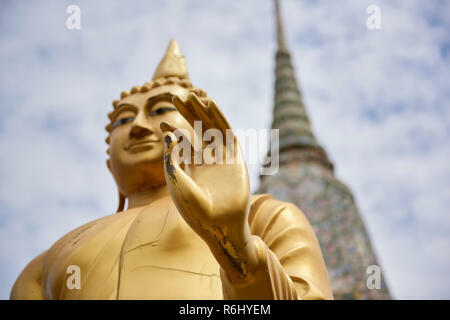 Golden Buddha statue in front of large white pagoda in Wat Arun temple in Bangkok, Thailand, with focus on the hand and out-of-focus background. 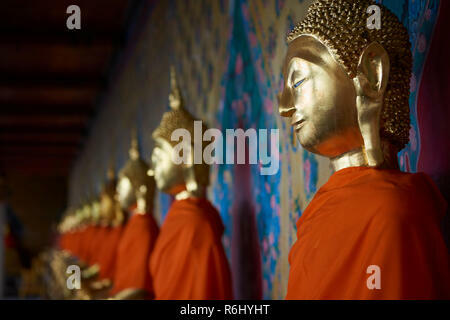 Several golden Buddha statues lined up in a diminishing perspective under the cover of one of the Ordination Hall in Bangkok, Thailand. 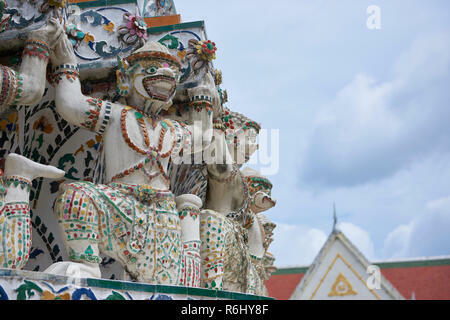 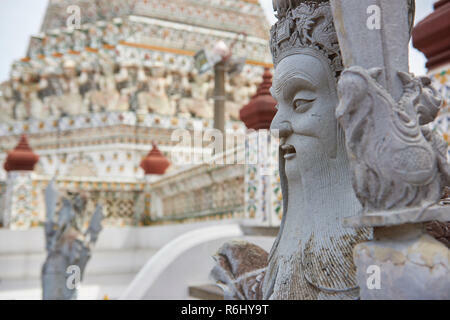 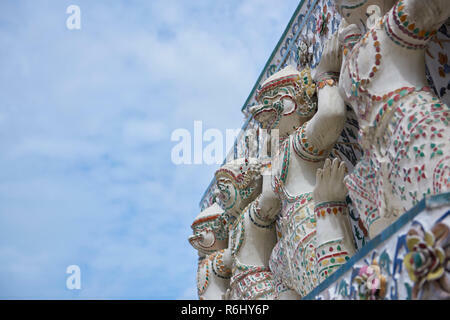 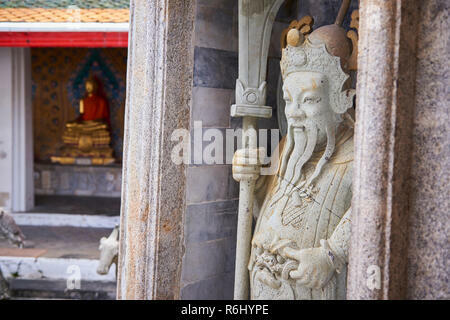 White guardian statue in Wat Arun temple in Bangkok, Thailand. 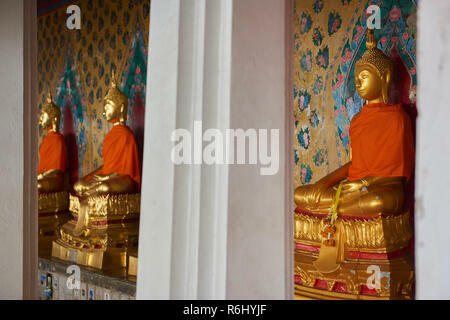 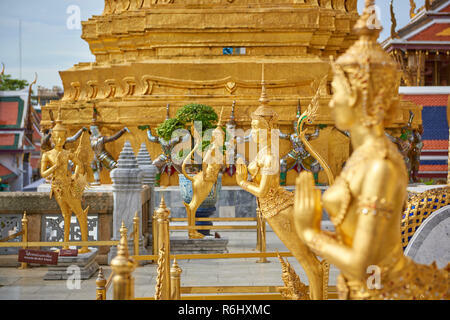 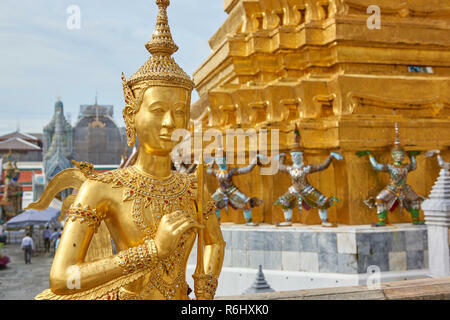 Three of the several golden Buddha statues lined up in a diminishing perspective under the cover of one of the Ordination Hall in Bangkok, Thailand. 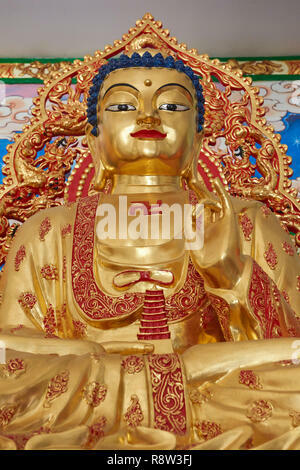 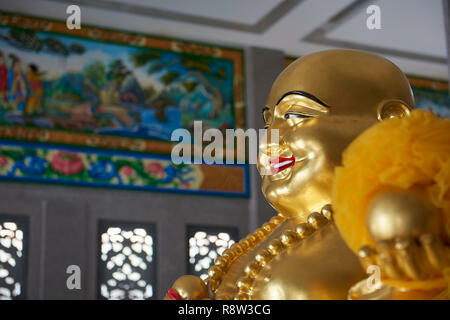 Golden Buddha statue inside one of the Ordination Hall's Buddhist temples in Bangkok, Thailand.